We often hear a lot aboutISO 9001 certificate, and sometimes we even don’t think about the sense of the standard; we don’t understand «what it is». This name became common. ISO 9001 certificate outshined other certificates issued by International organization for Standardization (International Organization for Standardization) and substituted the idea about the quality control. So, let’s speak in details about ISO 9001 by clear and simple language. So, what is the standard of ISO 9001? ISO 9001, as a standard, forms the requirements, which are specified for the quality management system inside the organization. The main responsibility: an efficient work of each element in the enterprise, the guarantee that a service and/or goods have high quality. This standard controls constant fulfillment of all the complex of similar requirements which are used to «verify» the true state of affairs in the company. 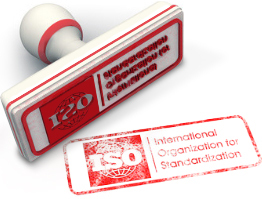 A range ofISO standards was developed by Technical Committee № 176 of International Organization for Standardization,, taken as a basis the principles and ideas of general quality management. As a result of periodic revisions, beginning from 1987 there were modified several versions of quality standards; the last updated sample is dated 2008 – ISO 9001:2008. The founders of ISO 9001 «The systems of quality-requirement management» included in the standard a generalization of all their experience in the field of quality control, and added there the practical application. ISO 9001 won international popularity: the quantity of companies obtained this certificate of conformity is calculated by hundreds of thousands. The standards include general requirements which help in functioning of either huge corporation or small kiosk. ISO 9001 can be used in work of an organization of any purpose: service and manufacturing. Certificate of conformity plays a role of matriculation certificate, a role of visit card of the enterprise. This is «one of the coats» of certified companies, which is «counted for the first» by potential partners, investors and credit organizations. Certification authority puts mark of quality, making the partners free from self-controlling. International standard allows to be sure in high quality of the service or the products. An enterprise only gains realizing effective preparation work to obtain ISO 9001 standard which is based on huge experience of the professionals and on common sense. They are like health-giving sport exercises which maintain your body well-toned. 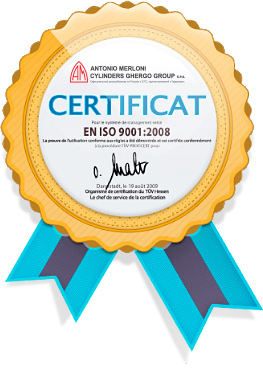 Other advantages to have ISO 9001 certificate: high reputation of the organization; trust from the consumers; success on the international market: wide possibilities in North American and West European trade areas: permission to work in tender processes and competitive tenders which occur for government and municipal orders; clear and effective work of the company. The main disadvantage if the company does not have ISO 9001 standard: this company is ill founded in the eyes of potential partners. It means that the enterprise is not able to provide a minimum order which is required to obtain the certificate.